Employers across Northern Ireland are being encouraged to sign-up to a month-long challenge to promote a healthier and more environmentally-friendly commute. 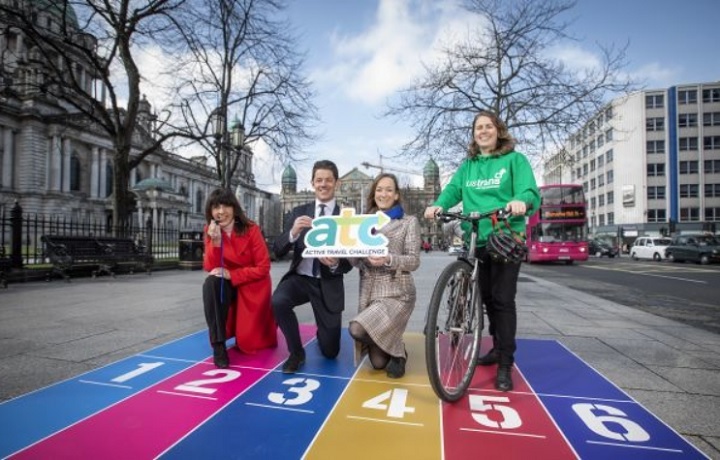 The free initiative, which will run throughout June 2019, is being organised by the active travel charity Sustrans, in partnership with public transport provider Translink, Northern Ireland’s Department for Infrastructure (DfI) and the Public Health Agency. Ahead of the event, employers are being asked to encourage staff to leave the car at home and walk, cycle or take public transport for their journeys to, from and during work. Participants log their ‘active travel’ journeys online and can compete with colleagues and those in other organisations to see who makes the most journeys. Each week during the month will have a different active travel related theme, with a range of prizes and incentives up for grabs to motivate employees to join the challenge. Steven Patterson, Sustrans delivery manager, said: “Many commuters spend a large chunk of their day sitting in traffic jams. We believe you can combine active travel into all or part of your daily commute. Lynda Hurley, from the safe and sustainable travel division in the DfI, said: “Encouraging people to make sustainable travel choices is a key ambition and the DfI is committed to working collaboratively with others to increase the number of people walking, cycling and using public transport. “Around one-third of all journeys we make every day are less than two miles – a distance that could be walked or cycled. A further one-third of journeys are less than five miles.